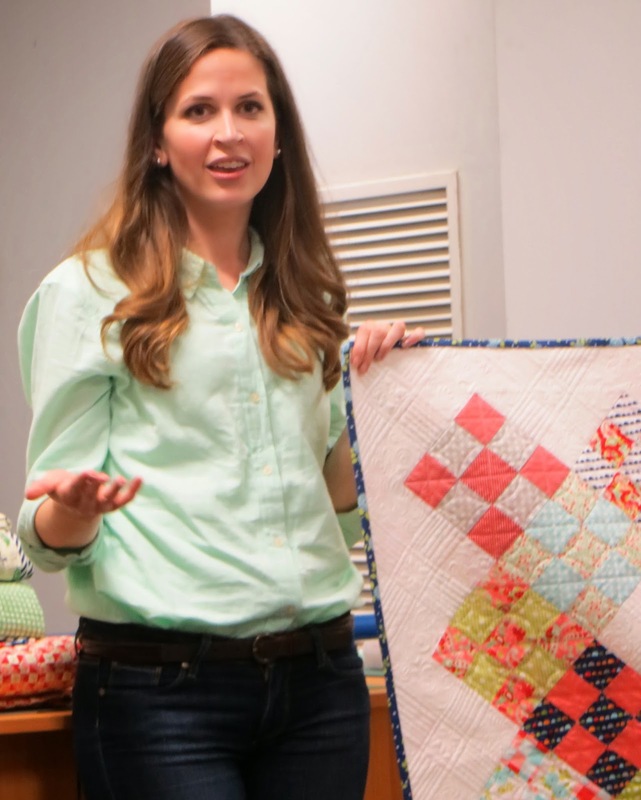 Last night was a special night as we got the opportunity to meet the talented and gorgeous Camille Roskelley presenting a trunk show of her quilts. When I started my blogging journey a few months ago, Camille's blog Simplify was one of the first I started following as I love the simplicity, clarity and colours she uses. I also follow her on facebook at Thimble Blossoms. 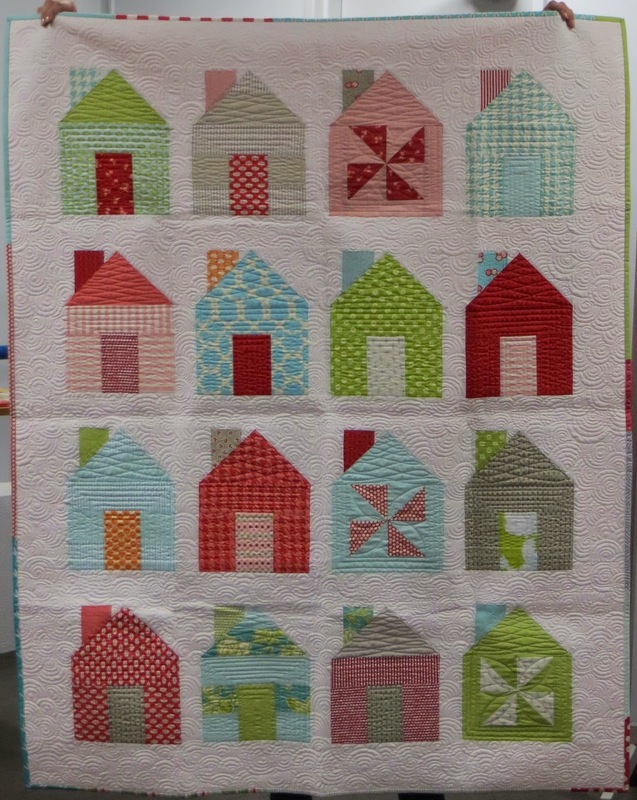 Kim & Dave from Kim Bradley Creations hosted the night at their store, lucky for me it's my local patchwork store! 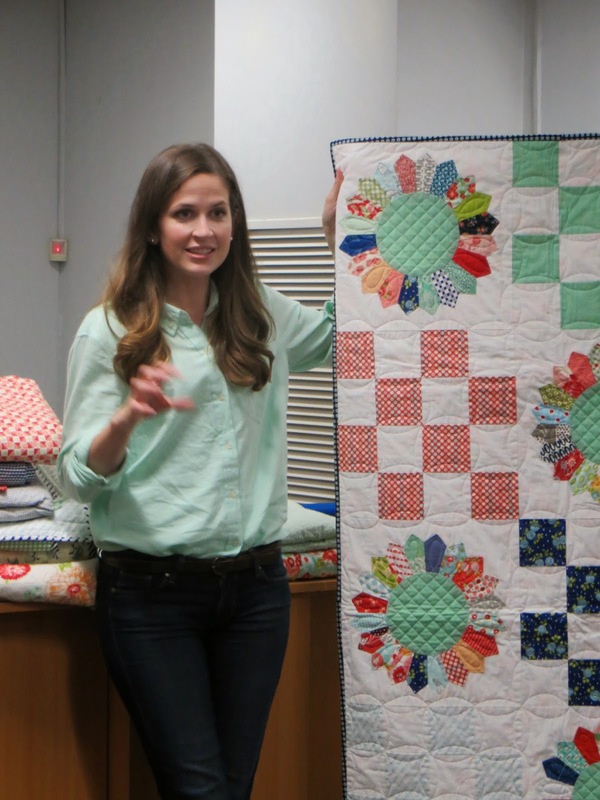 Camille not only showed us many of her quilts, she talked about the 'back' story as to why each one was designed, how she & her mum Bonnie get to work together to design their fabric ranges (Bonnie & Camille) for Moda and some of the design process. It was such a great night as Camille shared with us, I think that the pictures will tell the story best. I also got the chance to sit and chat with her friend Holly who came with Camille on the trip. 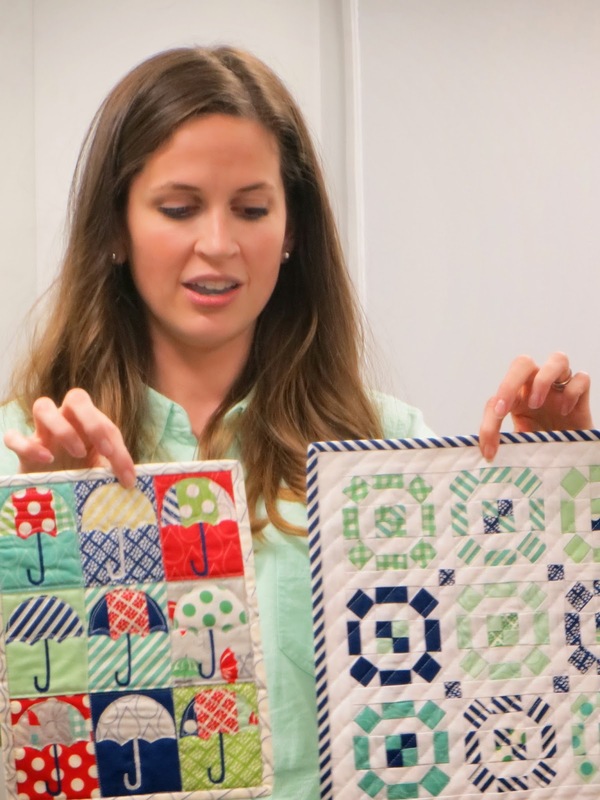 A couple of Camille's mini quilts which are seriously begging me to try them. This quilt is gorgeous, like a timeline of creations with blocks from many of Camille's quilts and featuring many of her fabrics. I have had the opportunity to attend trunk shows when travelling in America but they have never been as small and up close & personal as last night, usually I'm one of hundreds or more watching the designer on a screen you are so far away. Camille was so generous of her time, willing to answer questions & spend time chatting at the end, so glad I got to attend. Thanks Noela, was a special night. Hopefully she'll come back to Australia again.